No job search is easy, but Allmed Staffing can make it a little easier. 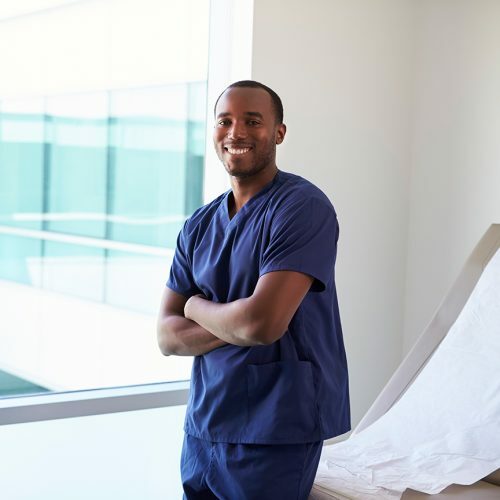 Whether you are considering a change, beginning your career or an experienced healthcare professional, job seekers trust us to provide you with an exceptional experience. Our trained recruiters uphold standards of integrity by always providing you with straightforward feedback and open communication. We help you recognize your career goals and aspirations to match you with highly desired positions. Connect with our team today! We know you work your best when you are healthy so we offer a robust insurance plan including, medical, vision, dental, paid time off, and paid holidays. As an Allmed employee you are guaranteed to be paid fair, accurately and on time every week. You are more than just a number, you become part of the family. We are with you every step of the way – before, during, and after placement. Whether you need interview coaching or resume support, we perform mock interviews and provide options to showcase your knowledge, skills, and character on your resume. If you are looking for a challenging position or a place for stability, we have roles for you! Our established relationships with our clients allows us to keep up with the seasonality of jobs. At Allmed, we find the role, team, and culture that is the right fit for you while going below the surface to understand your motivations. Our team has extensive knowledge and stay current with market trends within certain locations allowing us to match you with a position that correlates best with your strengths. Consider our available jobs and partner with your career advocate that understands your industry. Apply today and experience how Allmed can amplify your career!